Hong Kong is simply amazing! 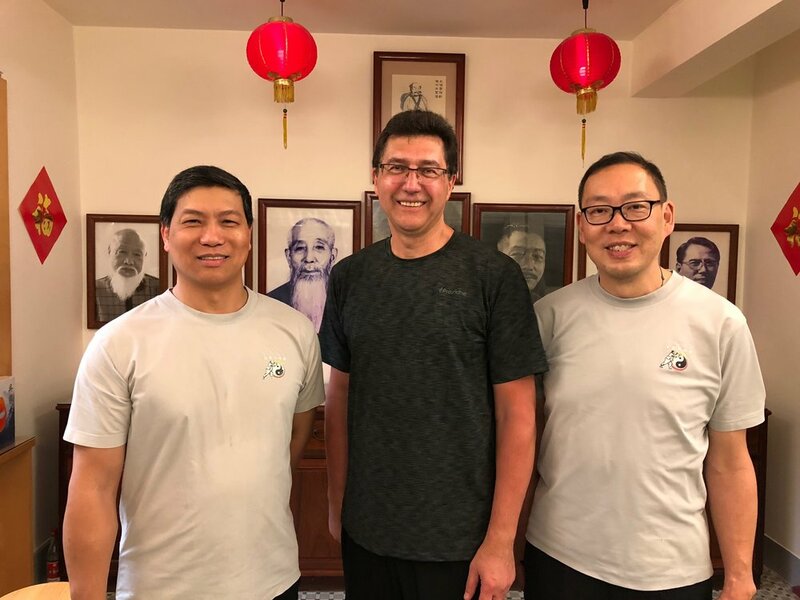 I had the opportunity to spend two weeks training at the Wu Style Tai Chi Chuan Academy in Hong Kong. This year marks the 80th year since the Academy opened it's doors. Advanced lessons from Grandmaster Eddie Wu were certainly the highlights of my trip. I also enjoyed training with fellow Tai Chi practitioners. Three hour classes can be very demanding on times. Kowloon Park is a beautiful park that has a special area called “Kung Fu Park”. Early mornings, especially on weekends, you can literally encounter over 100 people practicing various Tai Chi forms. Many mornings after my training was done I loved observing others playing Tai Chi and listening to very soothing music in the background. It never seems to amaze me how much depth there is in this beautiful art form. I can’t wait to return and continue my journey of discovery.